1. Clothing. I will not get into your summer fashion. I respect our differences and taste of what we are comfortable wearing. The main problem is the load of clothing we bring on a summer vacation. You know the saying "you have a full closet, but got nothing to wear". You know it girls! We ended up bringing a lot of clothes more than what we actually need so that we have more choices. These excess clothing consumes the most of our baggage. So, let's breathe in and breathe out. Ask yourself first. Will I actually wear all these clothes that I'm bringing? If yes, how many clothes will I need for my particular stay? If no, bring it back to your closet. To minimize your clothing load in your baggage, you can mix and match your clothes so you'll not look like wearing the same outfit everytime. If you are meticulous fashionista and don't want to compromise your style, just plan your OOTD (outfit of the day) so you'll only bring exactly what you need. To sum it up, pack light. 2. Swimming paraphernalia. Unless you will not go to the beach or resort. It's summer time, you can cool up a little by spending time on water activities. Bring your swimming attire, goggles, towel, surf board, lifesaver, shampoo, conditioner, soap, etc. These are the ones we often forget to bring. It happens everytime. These are actually some of the important things to bring. I know some things can be bought everywhere but still, it is always good to be ready. 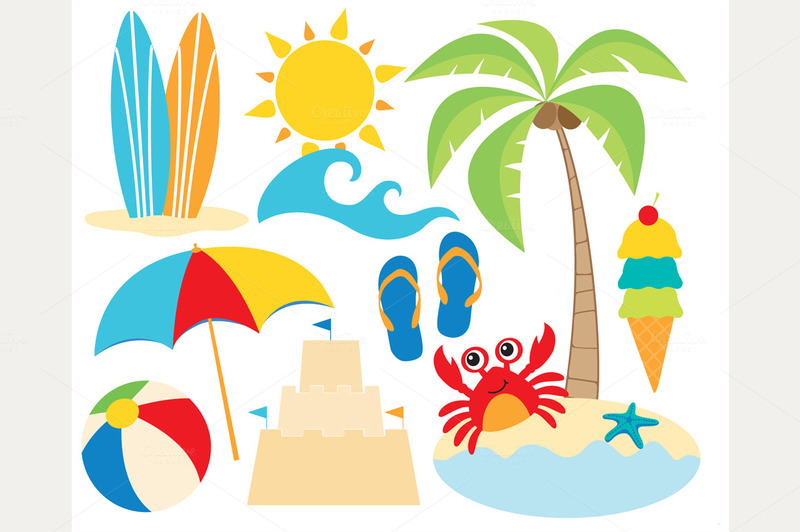 Pack all other important things you will need to your planned summer activity for you to have a stress-free summer vacation. 3. Sunscreen. Some ignore using sunscreen while others makes it just an option. Whether or not you are going to the beach and soaking the entire day under the sun, you need it. Whenever you have an outdoor activities, make sure to have a sun protection especially this hot dry season when the sun heats up more. It is nice to enjoy summer outdoors when you know your skin is protected. 4. 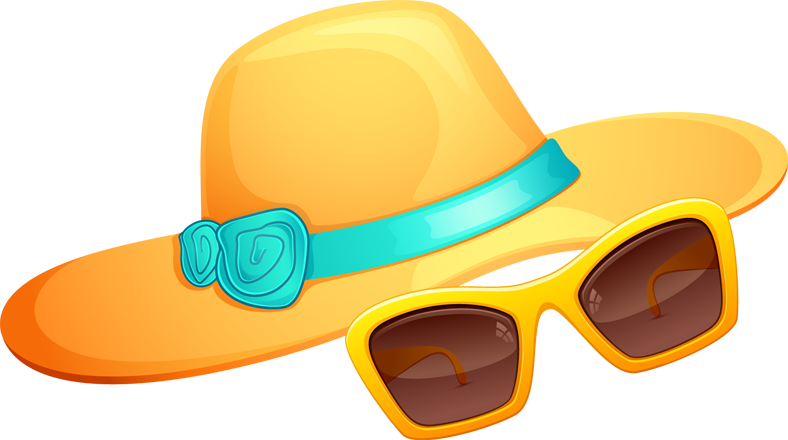 Sunglasses and sun visor/summer hat. I don't know about you but I am really into sunglasses when going to the beach. As the name implies it is made for the sun! As much as I want to expose my beautiful eyes *ahem*, I don't want to end up glared by the bright sun. Same thing for the hat, it is for the face and hair sun protection. These are not just your summer fashionable accessories but also for your protection. 5. Camera. Yes, your cellphone camera will do. It is a vacation and you want to capture the moments. Others have an underwater camera to take snapshots while into the water activities, that's great. Other than that, no other gadgets included. We have so much time with all the gadgets we have on an ordinary day but not on our summer vacation. Socialize with people in the real world and join some activities beside the virtual world in our gadgets. 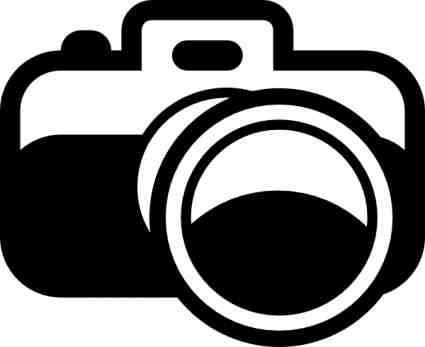 And most of all, more than capturing the moments, enjoy, relax and have fun. 6. Slippers/Flip-flops. 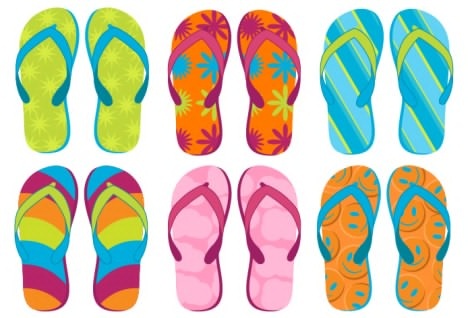 Walking bare foot in the sand is really good but as for me, wearing flip-tops is much better. It is not only very comfortable with the feet but also keeps your feet protected from any danger of stepping pointed objects that can hurt your feet. This is not something new to a tropical country like here in the Philippines. Truly, it is the most comfortable foot wear of summer. 7. Food. It depends on the situation. 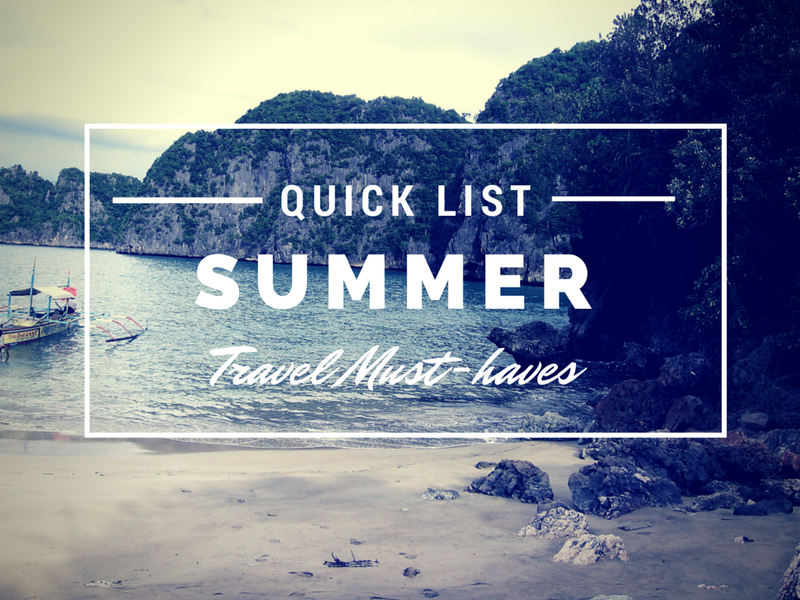 I got this on my list because most of us have a quick getaway like an overnight outing or a day on a resort with friends and family. Not only you can bring foods you want to eat but most importantly, it is also practical for a group outing. But of course, if only the resort you will stay permits you to bring foods. So basically, that's my quick summer list. How about you? What's on your list?